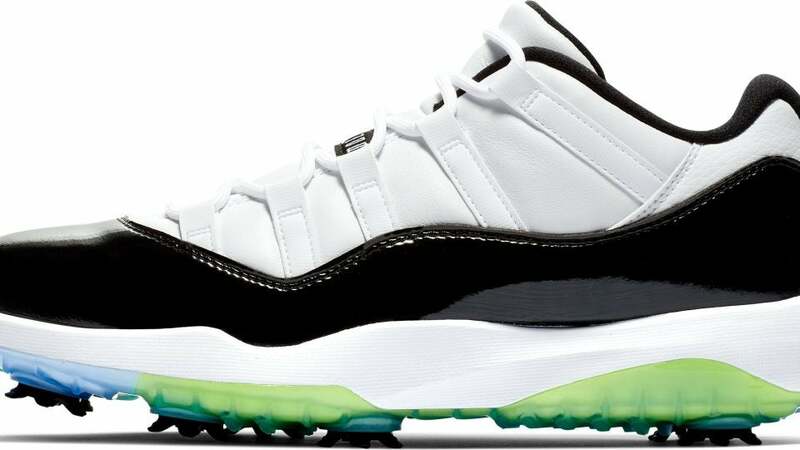 Photos of Nike's new Air Jordan "Concord" golf shoes were recently leaked, much to the delight of shoe fanatics. The latest edition of Jordans will feature Nike's React Vapor tooling, which, according to the brand, uses Nike React foam cushioning to deliver all-day comfort on the course. A limited quantity of Concords will be available beginning February 15, and they'll sell for $220 per pair. In keeping with the tradition of previous Jordan golf shoes, you can expect demand to be high.